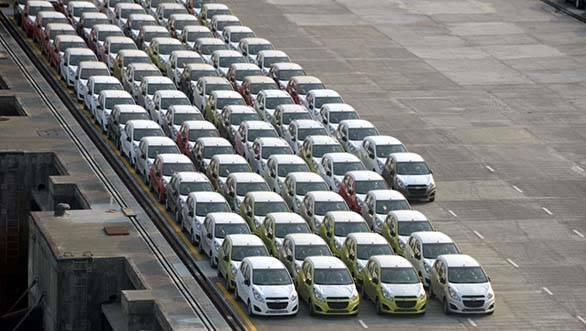 The first shipment of left-hand-drive Chevrolet Beats has recently left the Mumbai Port Trust, Maharashtra and is expected to reach Mexico in eight weeks with sales starting from December 2015. The cars have been produced at General Motors India's manufacturing facility in Talegaon (Pune), Maharashtra with a base capacity of 1.3 lakh units. GM plans to increase the capacity of the plant to 2.2 lakh units by the end of 2025 with an investment of $1 billion. According to GM CEO Mary Barra, the investment will make it a global export hub for GM, with up to 30 per cent of its annual production exported by 2025. The Beat is sold with the Spark badge outside India and is available in more than 70 markets. GM India exported 140 units of the Beat to Chile for the first time in September 2014 and continued further exports on a monthly basis. While last year the number of units exported was limited to 1,000, General Motors India plans to export 20,000 units this year, followed by 50,000 units next year, says Arvind Saxena, president and managing director, GM India.